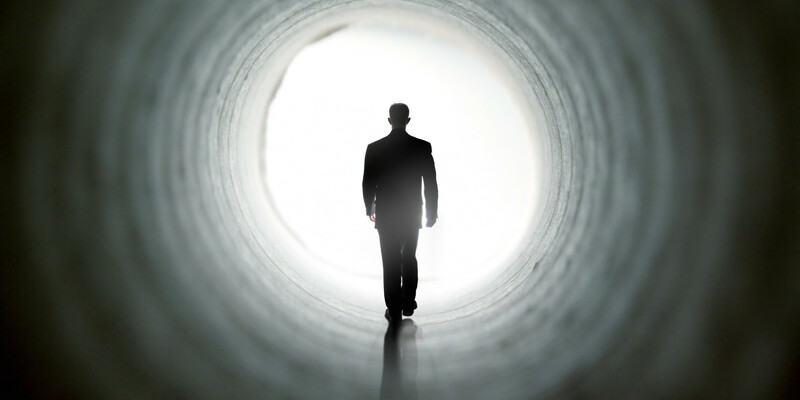 “Fulcrum of human fear psychology – the epi center – is the fear of death. You have fear of death because it is an unknown process – the ego fears its discontinuity – its non-existence. Ego can not fully accept the idea of immortality for it really does not exist outside of this illusionary reality. Ego knows it for sure and fears death – death of this human body – yet this fear acts as the food for its own survival till death. Eradicating fear of death involves mastery over ‘death in every moment’. A thought arises and dies out. Ego learns to capture your attention by jumping from thought to thought in a sea of emotions and by jumping between past and future times. Death is like a game where every thought becomes a winning point. One more thought survived. Ego pulls out more and more of them from subconscious, reacts to each stimulus from external environment, pushes you to ‘work’ hard for survival of this mind-body system and everything that is impermanent. All the fears created by ego are illusionary. Actually it only fears the witness, the present moment, enlightenment and the concept of immortality! Once you become aligned to any of this idea, slowly ego loses its battle. Ego is deprived of its usual weapons of time, illusions, fears and death. In death of ego or rather transformation of this illusionary ‘monkey ego’ to permanent divine Self, you overcome the basis of all fears – the fear of death – the fear of unknown- the fear of God – the fear of truth and the fear of fear itself! Nirvana is emptiness. Emptied from all illusionary concepts of limited existence and trying hard to ‘survive’ in this impermanent world. There is no death of your Self. Death is a joke to ME. If you term the transition of one form of energy into another form as ‘death’, then I must confess that you already died trillion of times in this ‘life story’ itself! Look at you. Which part of your body is the same that you had when you were born? Is the air that you breath and by which you are ‘alive’ been with you since birth? Is the first thought that you thought after birth still there in your mind? Then whose ‘survival’ are you afraid of?! You survived through all these ‘tiny death’ happening every moment. Change is the only constant in this ‘impermanent world’. While you are the changeless, who gives meaning to this process. Who survived these trillions of transitionary events to term them as ‘one life’ and then fears ‘one moment’ when you shift your focus from cluster of energetic structure called ‘body’ to another form of energy ‘soul’ which too goes through ‘changes’. No? Is soul static? Constant? What purpose it will serve the soul if it was static to take ‘human birth’ and go through all the experiences to learn something? Every thing is changing, evolving, moving, vibrating, transforming here right now. Only I AM constant, eternal, unchanged, unmoved, un-transformed, without birth and death. I AM awareness. I am consciousness. I AM eternal witness. For if I changed, how would I know what changed? It will be a chaotic world for there would not have been any planner, designer, organizer or witness to all these changes. I AM. The unfathomable mover of all. I turn mountains into dust. I burn seas into vapor. I spin the galaxies. I give birth to thoughts. I AM the drum, the drummer and the sound emanating from it. And I AM ‘you’. And you are ‘The One’. What are the “things” that you were born with in this life? What are the “things” that you will be carrying forward after death? What efforts are you putting towards “that”?